Cruiser Safaris hunting clients Jeff and Marcia Wilson, reference letter and hunting photos. Our first trip to Cruisers Safaris was in 2006. 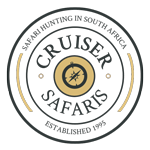 I thought choosing an outfitter was going to be a nightmare until I stumbled upon Cruiser Safaris web site. Once I had talked with Cruiser Bob I knew this was going to be the proverbial "Hunt-of-a-lifetime". What we didn't expect was to make such long lasting good friends. Bob has always gone out of his way to prepare us for anything. All of the calls, e-mails and letters have made each trip so simple and nothing has been left for chance. To say Pieter and Lizelle have become great friends would be an understatement, they are more like family. Pieter has always made sure everything has been perfect, the lodge is warm, comfortable and very inviting. The wildlife management is very obvious, there is a wide variety of species and they are managed so everyone at any time of the year has the chance to shot quality record book trophies. We have had the pleasure of hunting with three different PH's and we have had two different "cooks", the thing that has always remained constant is they ALL have been professional, friendly and have tried to give us the best experience possible. We have hunted at Cruiser Safaris three times, shot 25 trophies from 17 different species and we can't wait to visit our friends again!!! 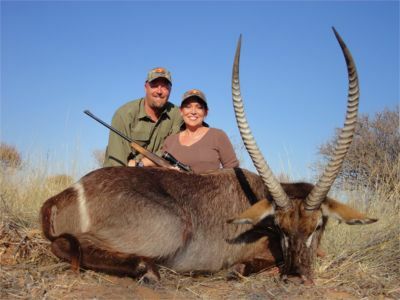 Jeff and Marcia hunted with Cruiser Safaris August 2006, July 2007 & July 2011.